Rebekah Anderson has wanted to attend graduate school at Princeton Theological Seminary since she arrived at Stetson University. 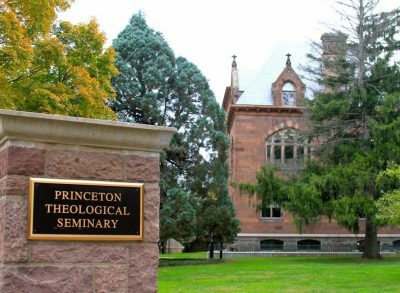 She will pursue a Master of Divinity at Princeton Theological Seminary, and received a Presidential Scholarship and a Presbyterian Leadership Award that will provide “full tuition and a little bit more, which was just icing on the cake,” she said. She hopes to become a church pastor and help others through nonprofits and mission work. 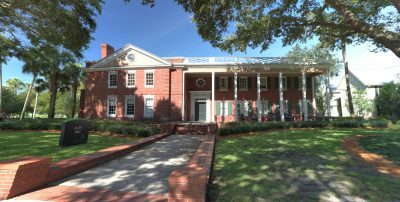 Anderson, who has a GPA of 3.93, attributes her academic success at Stetson to her close relationships with her professors. She recalled turning in a 50-page senior research paper, “The Son of Man and the Historical Jesus,” in December 2017. She had doubted she could complete the assignment. Stetson Professor Mitchell Reddish, Ph.D.
“I really struggled with it. I thought, ‘Ugh — I could never write a research paper. How am I going to do this?’ ” she said. 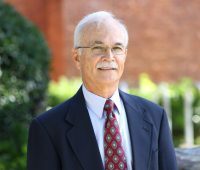 She reached out to Mitchell Reddish, Ph.D., professor and chair of the Department of Religious Studies and her advisor for the senior research paper. 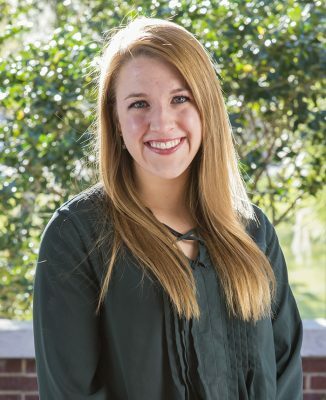 Rebekah Anderson said she learned to connect with others as a resident assistant in Emily Hall. She found other opportunities to thrive at Stetson, connecting with fellow students as a resident assistant in Emily Hall and joining a church just a short walk from campus. And yet, Stetson wasn’t on her radar in high school and she had applied “on a whim,” never thinking she could afford the private university. “I think that that’s one of the greatest things that Stetson does. They look at students who have need, and they really do their best to ensure that students can get their education here. If they need help, they really do their best to provide that help, so I was able to come due to very generous donor-funded scholarships. 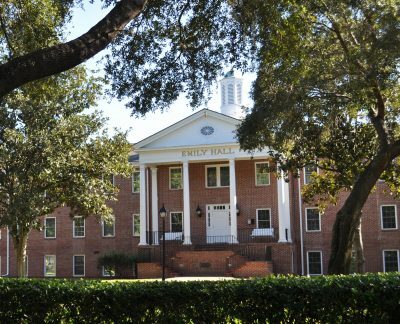 Stetson’s Department of Religious Studies is housed in Allen Hall.